You’ve made it through the music madness that is ACL and loved every minute of it. But the flight back home, that’s another story. In the past ACL has brought in tens of thousands of visitors to Austin – 75,000 people attended in 2012. While there may be a little relief this year since ACL was split into two weekends, there’s still sure to be thousands of additional flyers coming through the already busy Austin Bergstrom International Airport. On Monday you won’t be the only person flying home from ACL. Taxi services will be booked solid, the circular loop leading up to ABIA will be backed up and it could take well over 30 minutes to get from downtown to the airport. One of the best options for ensuring you get to the airport on time and enjoy the last little bit of your ACL vacation is by booking a ride with Royal Executive Transportation. Our professional drivers know what it’s like after ACL ends and they know how to get you where you need to be when you need to be there. Buses can be behind schedule and cab drivers will be overworked after the weekend. But a black car airport transportation will be on time, courteous and greatly reduce the stress of getting to ABIA. Mondays are normally one of the busiest days at ABIA on any given week. Add to that thousands of ACL attendees and it is sure to be one of the most trafficked days of the year at the airport. But like any other day sometimes will be less hectic than others. The early morning hours from 5am to 8am are typically one of the busiest times of day at ABIA. Two other peak periods are 11am to 1pm and 3pm to 5pm. If you haven’t already scheduled your flight do yourself a favor and book an early evening flight. You’ll avoid the rush hours and get to enjoy Austin for one more day. No matter when your plane is scheduled to take off, ABIA officials suggest that after a big event like ACL you should get to the airport earlier than you regularly would. Forget about the hour ahead rule. With an influx of thousands of ACL travelers the security line alone could be an hour. It was suggested by ABIA last year that people play it safe and get there two hours ahead of time. For later flights you may be fine by getting there an hour and a half ahead of time. That should allow you to get to the gate with a little time relax before boarding. 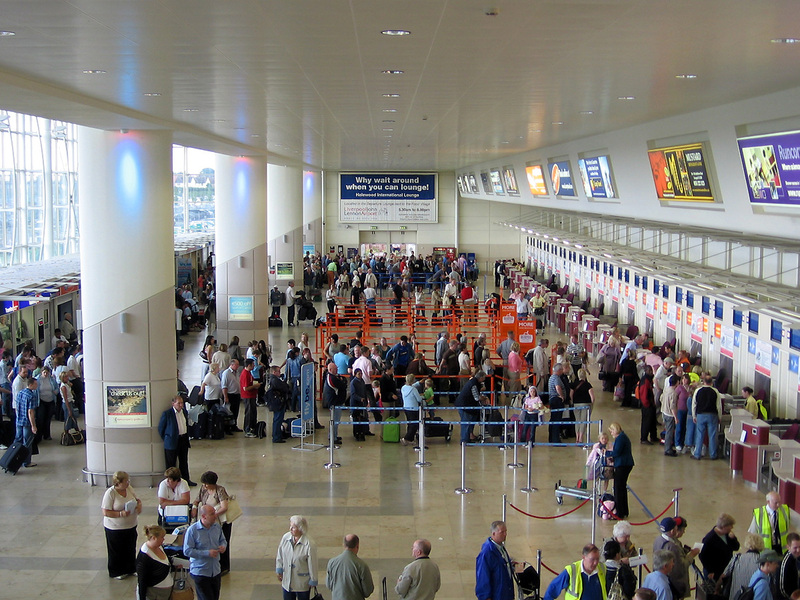 Below are some tips for how to get through security as quickly as possible. Put your liquids in clear quart-sized plastic bags. Remember moisturizers and gels count as liquids. Wear shoes that are easy to get off and on. Have your laptop ready to pull out and scan on its own. Take out metal piercings if possible. Don’t over accessorize. A lot of accessories are made of materials that will set off metal detectors. Just about any other day of the year returning your rental car on the third floor of the parking garage wouldn’t be that big a deal. But the day after ACL, when thousands of people came to town without their own transportation it’s sure to be jam packed. To add to the matter every major car rental company is there in the same area at ABIA, and it’s not extremely easy to get around. Allot at least 30 additional minutes if you’re returning a rental car.